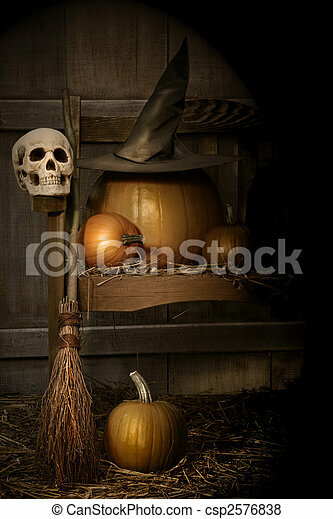 Big pumpkin with black witch hat and broom. 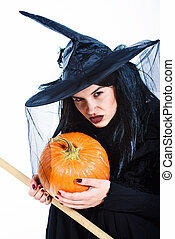 Big pumpkin with black witch hat on bench for halloween. 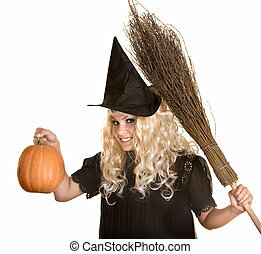 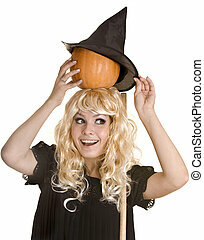 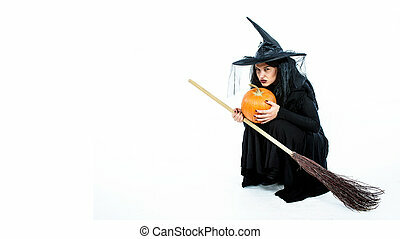 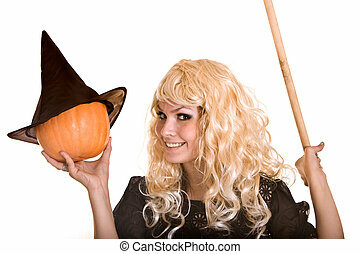 Halloween witch blond in black hat and dress with pumpkin on broom.Isolated. 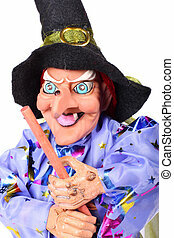 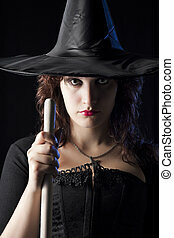 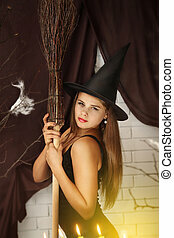 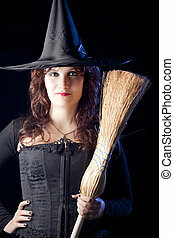 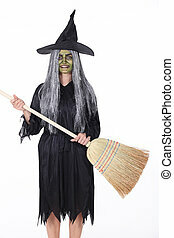 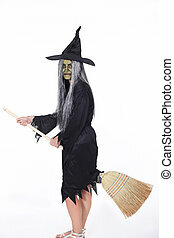 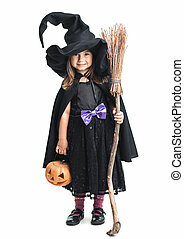 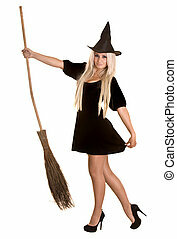 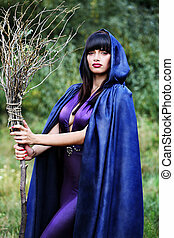 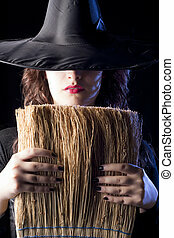 Halloween witch blond in black dress and hat with broom.Isolated.